One of the best ways for clients to grow their business is through the story of their brand, their offering, their achievements, and useful information about their market. 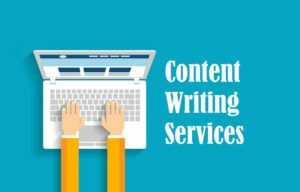 We offer content writing services for web pages, for blogs, social media and more that is SEO and reader-friendly and drives action. Our relevant content is special for each client. Every business has a specific target audience and content should contain the right balance of keywords. The same content can be used in multiple places, often with only minor adjustments. SEO recommendations are for every page to have a reasonable amount of content, and for every web page regularly post more content. From Google’s perspective the extra content means the internet is therefore becoming more useful to more people. We work with our clients so we know exactly the tone they want to convey, the message they want to get across and most importantly what the overall goal is.